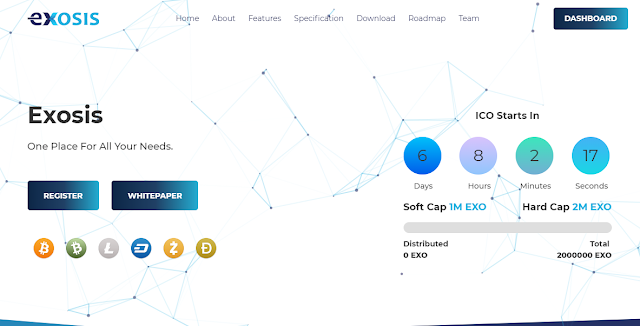 The Exosis development team realized that the best way to create a good cryptocurrency platform is by creating a multi-functional platform that has utility. Exosis is a realization of the dream. It features five different platforms in one. It has a decentralized exchange, a decentralized e-commerce site, an OTC platform, a Virtual Masternode, and a multiplatform e-wallet. These five different business models all rely on the Exosis coin. This gives Exosis coin utility, unlike most other cryptocurrency platforms. The result is a platform that offers users multiple ways of earning. As a result, Exosis is a true ecosystem that is sustainable and with little volatility due to the utility offered by the five business models. Exosis is a blockchain platform that seeks to provide users with an ecosystem where they can invest in the cryptocurrency industry with ease. The developers understand the potential of the cryptocurrency industry as well as the risks associated with investing. 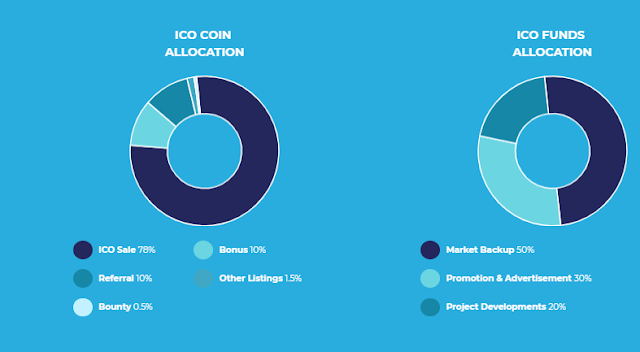 They decided to create an ecosystem where investors can invest in the industry risk-free while providing a new cryptocurrency that is more functional. This is achieved by combining five different cryptocurrency businesses into one. 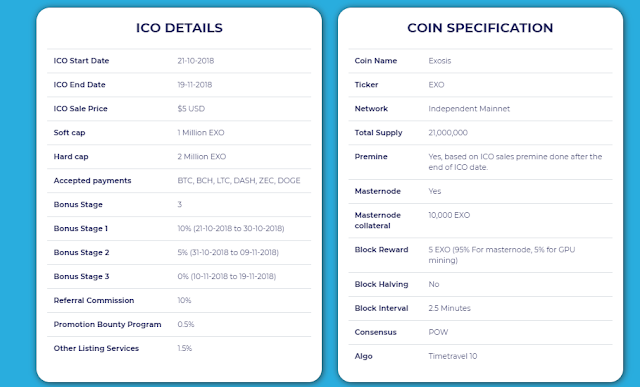 This provides utility for the Exosis coin while offering users an opportunity to earn in different ways. These four businesses are a decentralized exchange, a virtual masternode, a decentralized e-commerce site, an OTC platform and an e-wallet for users. These five different platforms in one will run on Exosis coin. Order processing is an important part of a cryptocurrency exchange. The Exosis Exchange order processing will be made more efficient to ensure top quality for our service. Blockchain based exchanges have lower order processing speeds which lower the quality of services. The Exosis exchange will have order processing speeds of 10,000 transactions per second. This means that our service will be faster than other Blockchain based exchanges which normally have order processing speeds of up to 2000 per second. We won’t run on blockchain order processing based on the blockchain technology is 200/minutes based on the block generate time. This will be an integral part of the exchange where our users will be able to rate each other. This is where users will have the power to up vote and down vote each other. This system will ensure that users trustworthiness will be based on users vote score and if the vote score is negative such users will get an automatic ban from the chat. It is important to note that there will be no restriction on the posting of content. Users will be free to post any type of content since other users will be able to up vote depending on the quality of one’s content. Exosis exchange will have a system of ensuring automatic deposits and withdrawals. Also, we will have no control over the user’s funds. The automatic deposit and withdrawal feature of our platform will enable users to convert. Our platform will have a coin listing feature. This feature will allow for listing of a coin after vote ranking, but the software of the coin will be checked issues and compatibility. This particular component of our platform will allow for enough liquidity in our ecosystem since the listing of new coins in exchanges brings in a lot of liquidity. For new coins aiming to list on our platform, we will ensure we carefully check for software so as to ensure the safety of our clients. Our platform will also provide a trading API that can be used by both merchants and traders. This trading API can be integrated into auto trading bots and then he merchant API which can be used by merchants to integrate them into their businesses. This will enable them to collect payments through Exosis. This is a very important feature of our platform since APIs are omnipresent in today’s financial ecosystem. It is a program that enables one software application to interact with another. In this case, a trading API for the Exosis exchange will allow for traders to employ their trading bots. This is particularly useful for traders who run their own algorithmic models on their trading systems and want to receive live pricing and be able to execute trades, either manually or automatically. Also, merchants will be able to use our API to collect payments from their customers using Exosis. This feature, therefore, will have the potential to bring in a lot of users to our platform. Since the evolution of cryptocurrencies, exchanges have faced severally security issues. Security is the single most problem that affects cryptocurrency exchanges. For instance, the incidence with Mt. Gox cryptocurrency exchange that went down. In 2015, a Hong Kong based exchange, MyCoin shut down and about $386 million worth of cryptocurrency disappeared from the company. In another case, GBL a cryptocurrency exchange based in China went offline in 2013 and disappeared with users’ cryptocurrencies. Exosis understands the need for an AA+ level of security which is very important for users to trust our platform. The A+ security that we will provide on the Exosis platform can be checked on Mozilla observatories such as X-XSS, X-Frame, CSRF, CSP, CORs HPKP, HSTS, and secure cookies. This way our users and prospective customers can always check our levels of security, just to make sure we have adequate levels of security that can handle their transactions and cryptocurrencies safely.